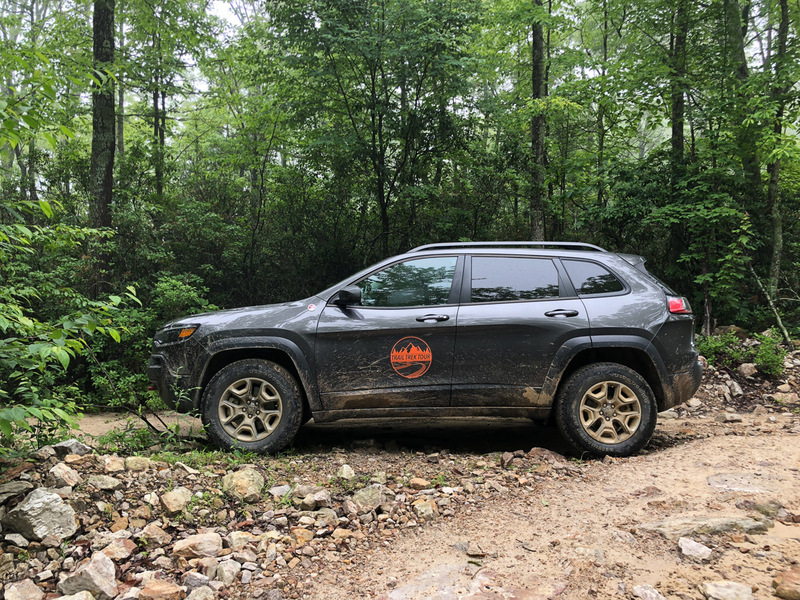 We joined up with a team of men’s lifestyle and automotive experts in the woods of Virginia to see if seven everyday crossover utility vehicles could handle a rugged off-road course, and to pick our favorites. Read on for our top picks and the overall winners from the first Trail Trek Tour. 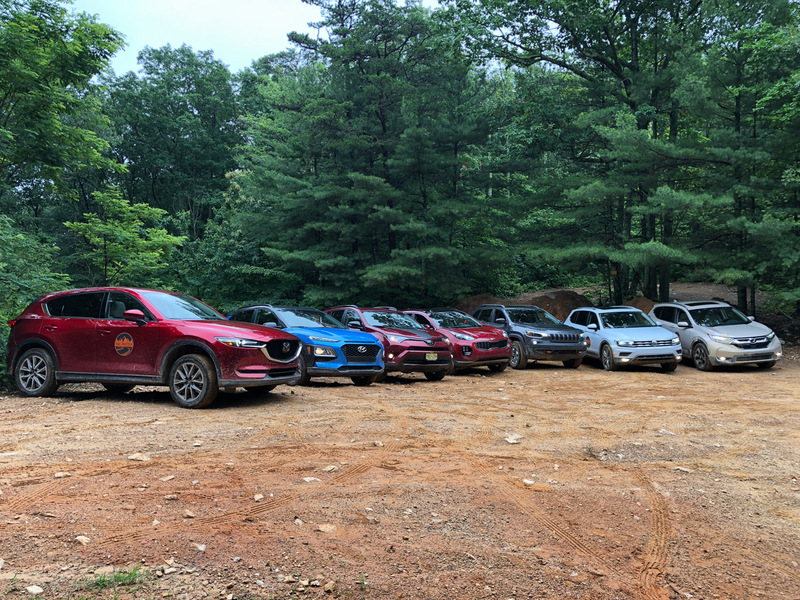 Our diverse array of competitors included the Mazda CX-5 Grand Touring, Hyundai Kona SEL, Toyota RAV4 Adventure, Kia Sportage SX Turbo, Jeep Cherokee Trailhawk Elite, Volkswagen Tiguan SEL Premium, and Honda CR-V Touring. 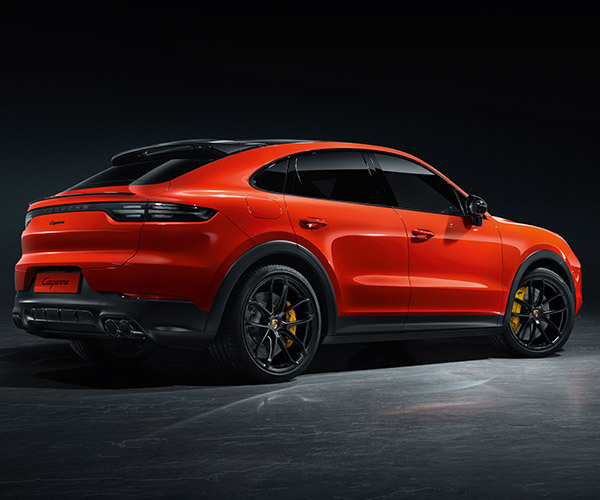 Other than the 2019 Jeep, all of the vehicles were 2018 models, equipped with all-wheel or four-wheel drivetrains, and were 100% stock, including their tires and wheels. Our judging criteria for the day gave equal weight to capability, utility, and styling. 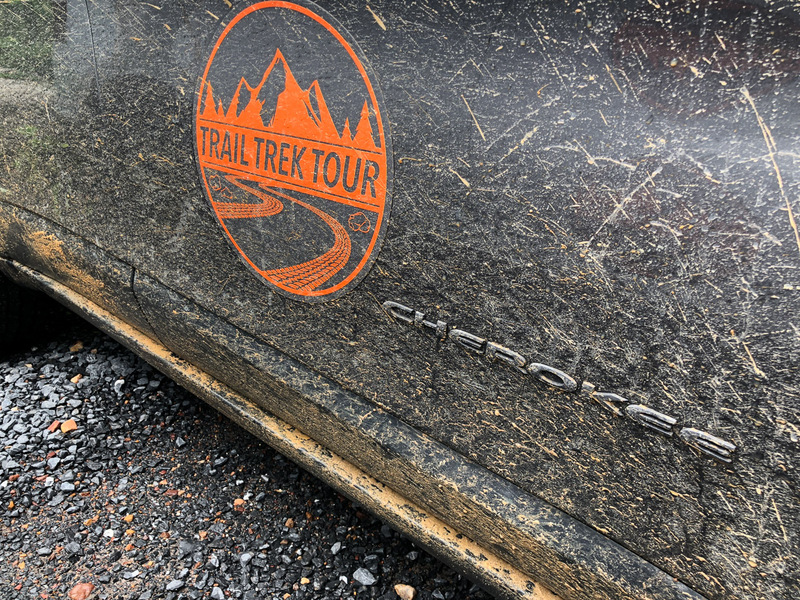 While the trails we hit in the George Washington National Forest weren't the most daunting off-road courses, they offered plenty of rocks, ruts, loose dirt, and a heaping helping of mud thanks to the rainy days leading up to our outing. They certainly were much more challenging that the roads that most owners of these daily driver crossovers will ever take their vehicles on. 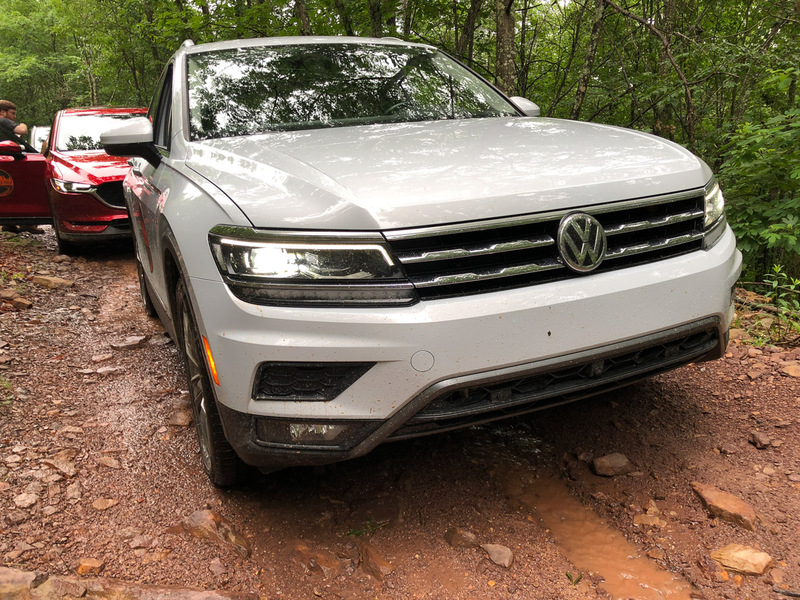 We started off in the VW Tiguan, which was one of the most surprising vehicles when we hit the dirt trails. Its better than average approach and departure angles, a good 7.9" ground clearance, and compliant suspension put it among the best of the day. It also offers an enormous interior, along with a folding third row of seats, giving it added points for versatility. Our only gripes? An unexciting design and a poor breakover angle, causing bottom-outs when facing severe angle changes. 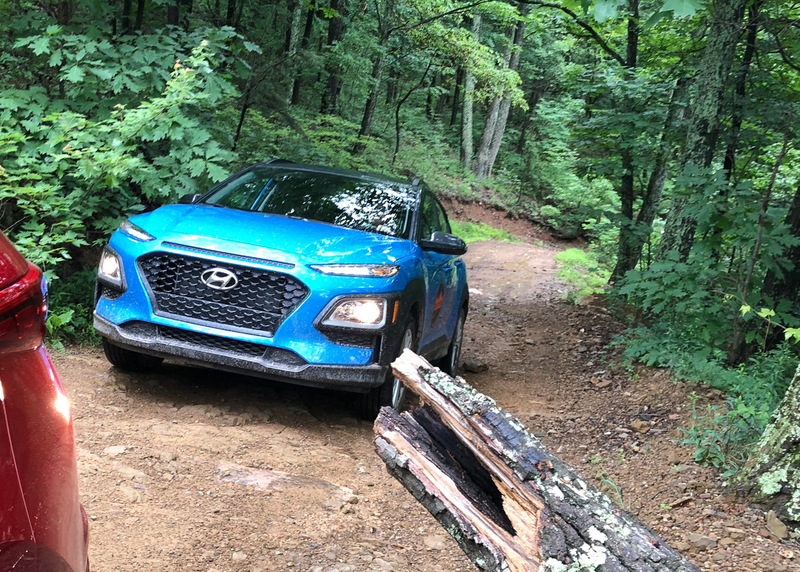 The Hyundai Kona won our "little crossover that could" award for the day. Unlike the other vehicles in the competition, the Kona is a sub-compact crossover, with just 6.7" of ground clearance, a long nose, and just 147 horsepower. But that didn't stop it from making it through the entire course without a hitch. We scraped bottom just once on our journey, and its AWD lock feature that splits torque 50/50 from front to rear really helped us along the way as well. Plus, we love this Kona's bold and modern styling - especially its super-skinny LED headlamps. It scores bonus points in our book for being $10,000 less than the next least expensive vehicle we tested. Another surprise of the day was the Mazda CX-5. Offering the best exterior styling of the bunch, you'd think it would be best suited to urban settings. But the CX-5 ran the course quite well, only struggling with the occasional start or end of a climb thanks to its very long overhangs up front and in the rear. Its big 19" wheels had us worried but there was enough meat on the tires to provide ample traction. Plus its 7.5" ground clearance and very smart all-wheel drive system kept us moving, and never stuck in the mud. Next up was the Toyota RAV4 Adventure. 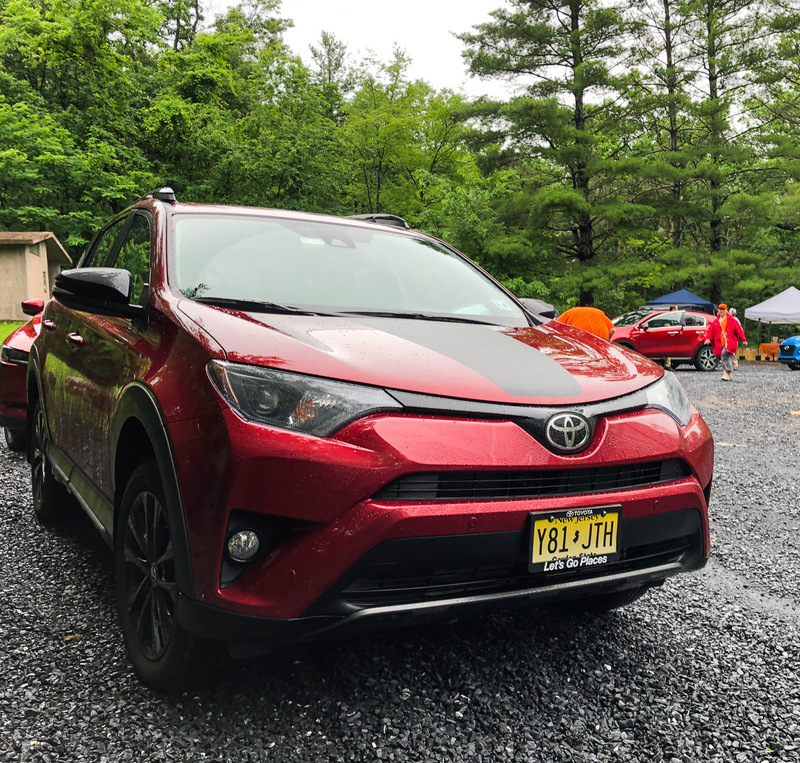 While we're truly looking forward to the rugged looks of the upcoming 2019 model, the current RAV is still a fun and reliable vehicle, and handled the course well. It offered great traction getting up and down hills, and relatively few bottom outs, despite its short 6.5" ground clearance. The little Toyota was the one casualty of the day, being the only vehicle to blow a tire during our 8+ hour trek, but that's because we were running on street tires, and one of us ran a sidewall right into a razor-sharp rock. It's definitely not the fault of the vehicle, and more rugged tires would have prevented this minor incident. The Honda CR-V offers a very comfortable interior, slick technology, and a Goldilocks-like "just right" amount of styling. It's looks are as middle-of-the road as it gets, but that's part of what makes it such a popular vehicle. 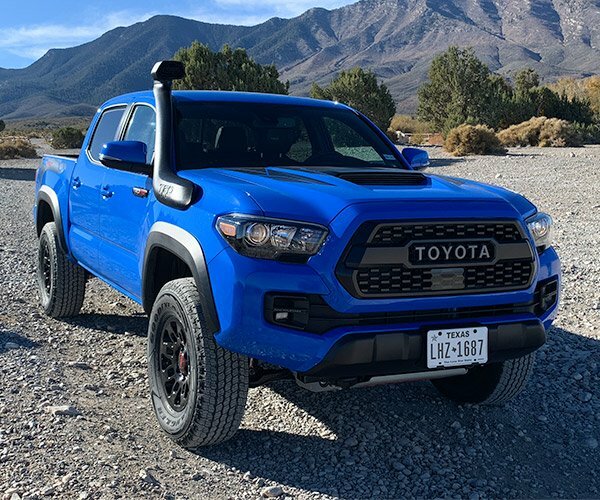 Its 8.2" ground clearance and relatively large tires kept it from ever bottoming out, though its CVT did put it at a disadvantage climbing hills and getting over larger obstacles compared to the traditional automatics in most of the other vehicles. Still, it performed well, and offers a good balance of versatility and capability. 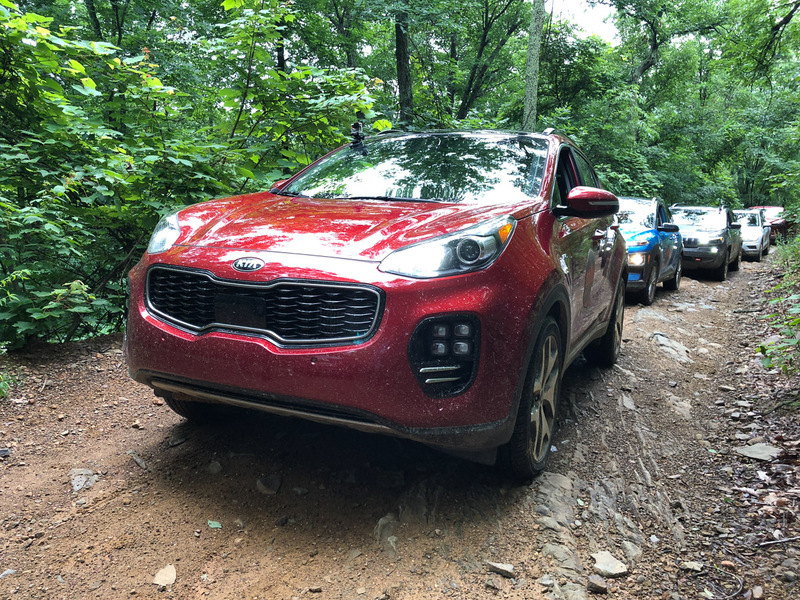 The biggest disappointment of the day was the Kia Sportage, a vehicle that we really do love in the city, but that struggled off-road. 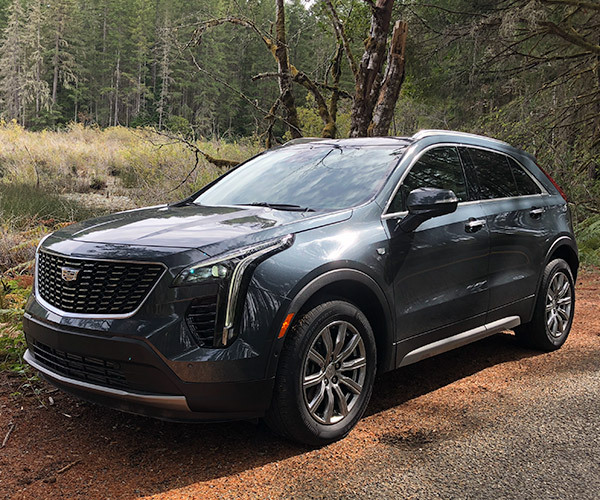 We thought its relatively powerful 237 hp turbocharged engine, and short overhangs would mean easy travels, but its skinny tires and big wheels meant poor traction, and its 6.8" ground clearance caused a number of scrapes and bumps throughout the day. It has the same 50/50 AWD lock as the Kona, but that wasn't enough to keep it from being the least off-road friendly of the bunch. And while we don't mind its quirky styling, the Sportage definitely felt out of place among some of its more rugged competition. Naturally, the favorite going into the day was the Jeep Cherokee. 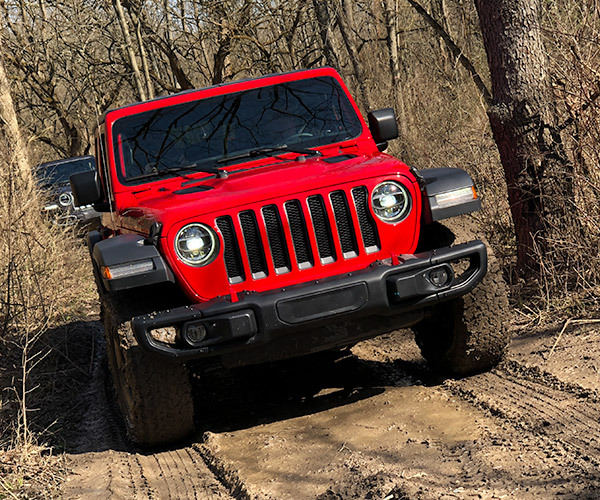 Despite being a unibody vehicle in its most recent incarnation, Jeep still knows a thing or two about how to make an off-road capable vehicle. Equipped with the Trailhawk Elite package, the Cherokee did not disappoint. It beat every other vehicle in terms of ground clearance, approach, departure, and breakover angles, and overall power. It looks rugged too, and rides on the most appropriate off-road tires of the bunch. Plus, it packs a proper two-speed transfer case, true 4-wheel drive, and lots of other off-road bells and whistles. Honestly, the Trailhawk felt ready to graduate to some much more advanced trails than the ones we were on. We like the Cherokee's styling too, especially with its less squinty new front end, though its back seat suffers from poor legroom, losing it some points in utility. In general, we were quite impressed with the entire lot of crossovers we took off-road, and the fact that we never had to use our winch or tow ropes to pull one out of the mud exceeded our expectactions for the day. Among the seven vehicles, losing just one street tire all day was a pleasant surprise as well. 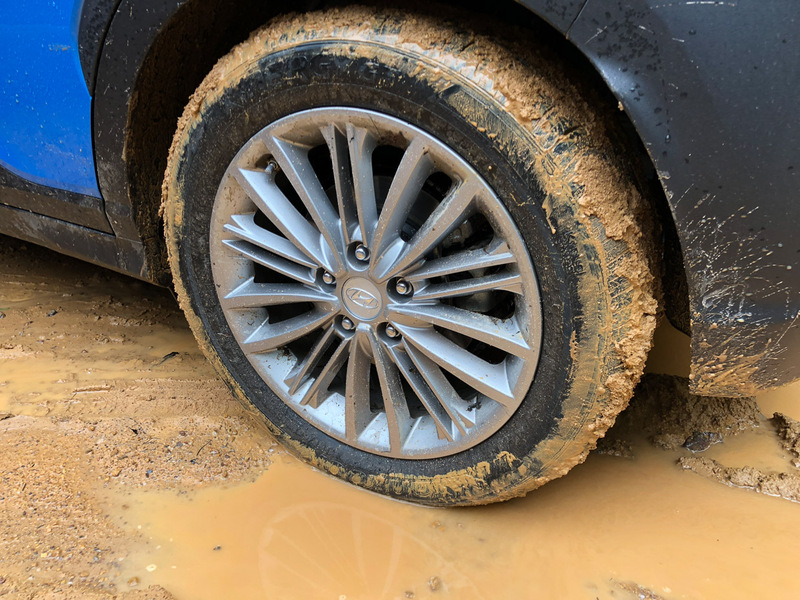 Still, if you do decide to go off-road in your crossover, we recommend some smaller wheels (16" or 17" max) and big chunky off-road tires for maximum enjoyment and minimal blow-out risk. So let's go over our picks and the overall winners for the day. 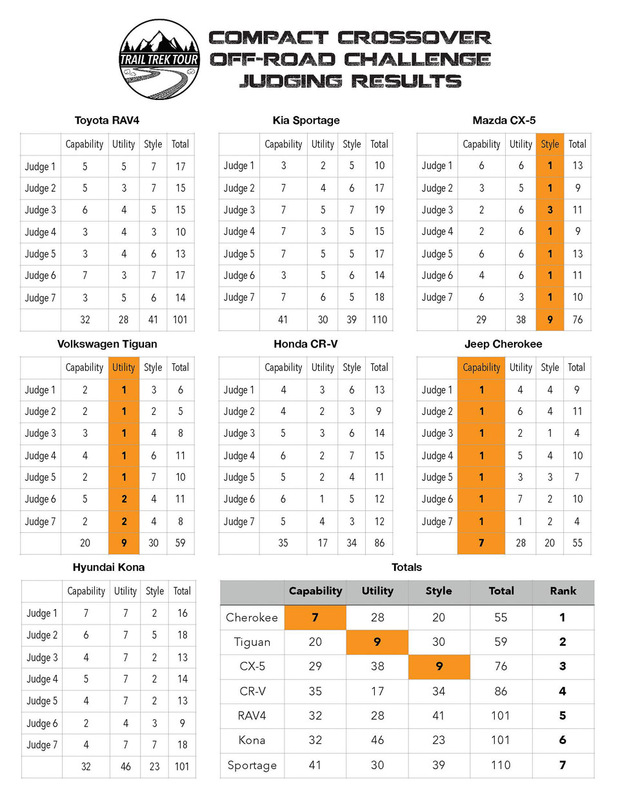 Coming in first place overall was the Jeep Cherokee, followed by the Volkswagen Tiguan, and then the Mazda CX-5. 4th place went to the Honda CR-V, 5th place for the Toyota RAV4, 6th place for the Hyundai Kona, and 7th place for the Kia Sportage. 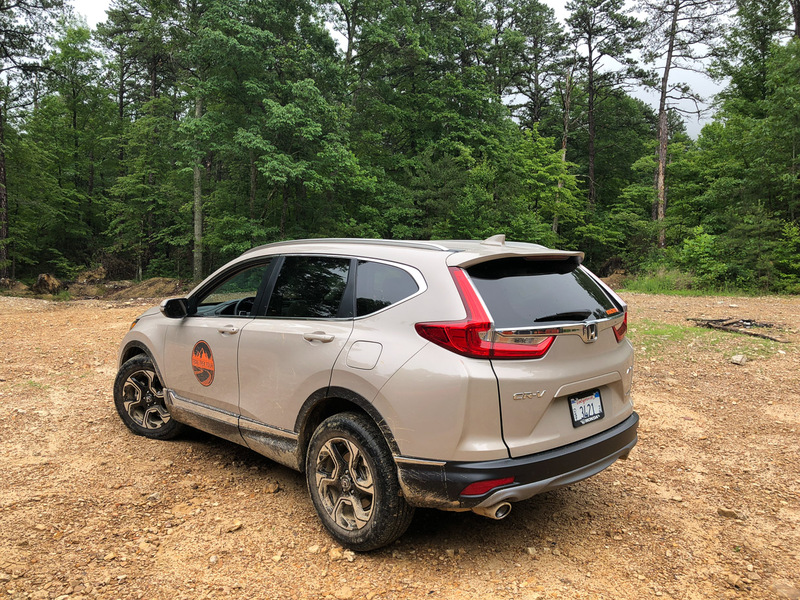 We agreed with the group on the top two overall picks, though we ranked the CR-V in third place as it offered a bit more versatility and ruggedness than the CX-5, and we thought that trumped style when it came to an off-road pedigree. 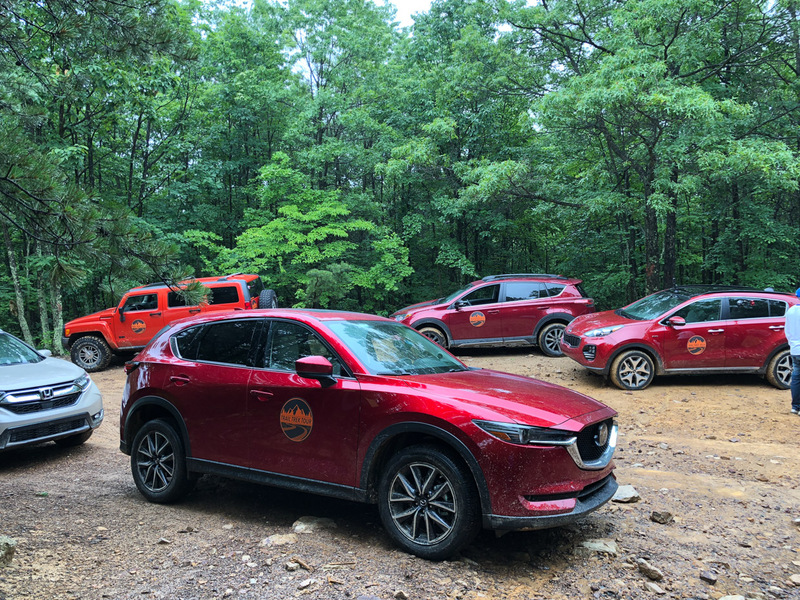 Regardless of their rankings, every single crossover we tested finished the course, and we didn't have to use our chase trucks or winch to tow out a single vehicle all day. 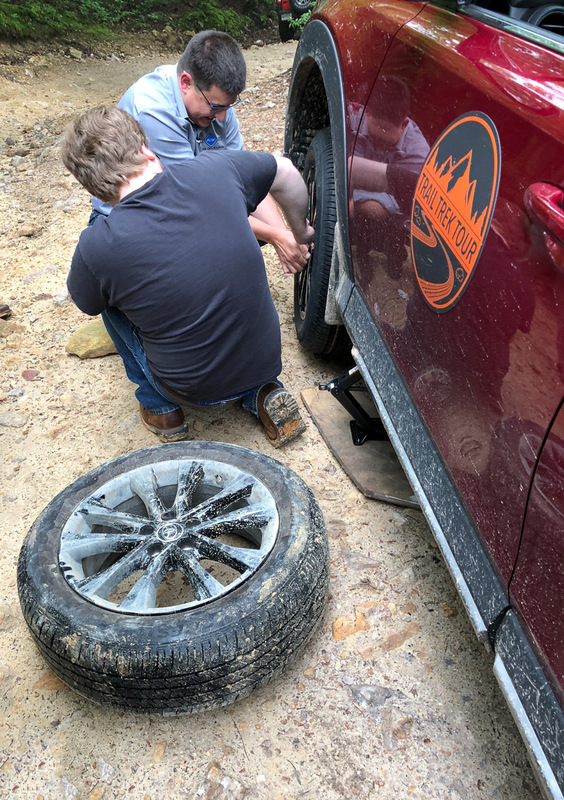 Thanks so much to the guys from Gunaxin for organizing the Trail Trek Tour, as well as all of the automotive sponsors who provided the vehicles used for our testing, as well as our accommodations and meals.